Smarter Grid Solutions today announced the launch of ANM Strata, its revolutionary DERMS product for Utilities who want to facilitate and capture maximum benefit from Distributed Energy Resources (DER), and deliver multiple Grid Modernization objectives. ANM Strata is the must-have foundational control layer of any DERMS solution. ANM Strata is a part-distributed, fast-acting, end-to-end control system, specifically developed for DER-related applications. 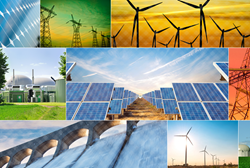 Unlike existing vendor solutions, ANM Strata is a part-distributed, fast-acting, end-to-end control system, specifically developed for DER-related applications including managing capacity constraints, mitigating voltage issues, resolving DER intermittency, coordinating grid and market requirements, and integrating and managing utility microgrids. ANM Strata builds on Smarter Grid Solutions’ proven Active Network Management (ANM) technology, which is already delivering significant increases in grid hosting capacity. ANM Strata adds new functionality for algorithm development, DER scheduling and real-time control coordination, plus a roster of integration adapters that seamlessly integrate ANM Strata with enterprise systems, historians, devices and 3rd party systems, and/or applications. This allows Utilities to harness the capability of their existing systems, such as load flow or Optimal Power Flow engines, and allows their output to be used reliably to enhance the operation of the distribution grid. Smarter Grid Solutions will be showcasing their new ANM Strata product at this year’s DistribuTECH conference, in Orlando, 9-11th February, booth #1829. Smarter Grid Solutions provides products and consultancy services that enable distribution utilities and generation developers to integrate Distributed Energy Resources (DER). The company’s world-leading Active Network Management (ANM) technology delivers a unique distributed energy resource management system (DERMS), that uses real-time functionality to manage and control the operation of DER and other grid edge devices. It is the only DERMS solution to feature fast-acting response, guaranteed time bounding, adequate fail safes and predictable operation. Smarter Grid Solutions’ DERMS products are transforming the utilization and resiliency of the grid, and managing connected customers at greatly reduced cost, without compromising safety and security. The company supports customers worldwide from its offices in New York, London and Glasgow UK. Smarter Grid Solutions was formed in 2008, originating from the world-renowned Institute for Energy and Environment at the University of Strathclyde. It established its offices in New York in 2013, and is now an active contributor to the development of the Smart Grid in many parts of North America.